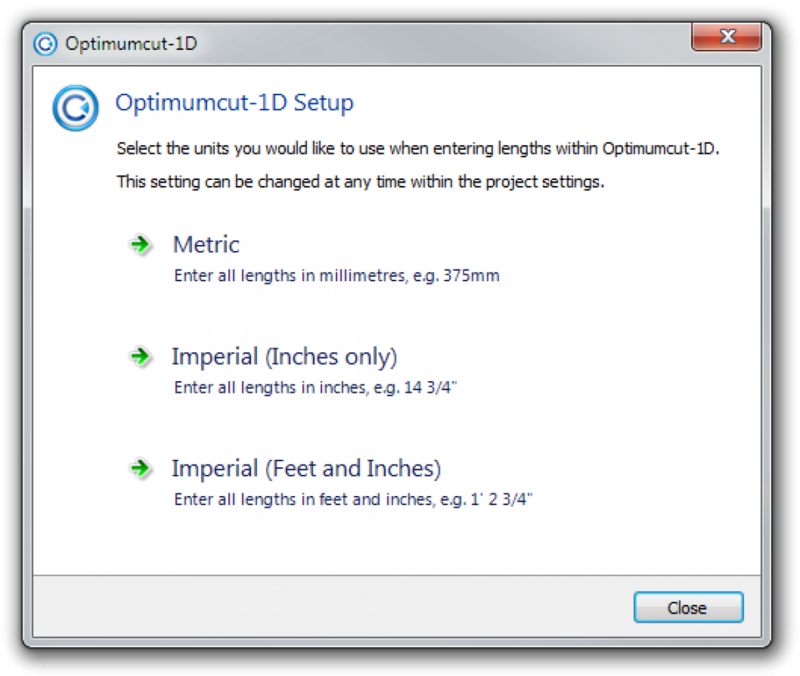 Due to the local caching of all items you create; it is important that you specify the units you prefer to work in as soon as possible when first running Optimumcut-1D v3. This is not a very exciting task as most people will want to dive straight in to playing with the more interesting features. It was therefore decided we needed a “First Run” form that prompts the user for this information when it is first run.